Relocating your family or business to their new location is one of the biggest projects you will ever have to plan. The process can seem overwhelming, which makes it extremely important to arrange well in advance for this important day. To help make your move as easy as possible, we have created a list of some helpful tips that can be used as a guide in preparing for the big day. We hope you find the moving tips useful and if you have any questions about any of them, please do not hesitate to give us a call. Book a date and time with Ocean Moving & Storage well in advance, especially during the busier summer months. Create an inventory list of all items that you plan to bring to your new home or office. Although, the movers at Ocean will also create a list for you, it still prudent to have one of your own for organizational purposes. Consider moving insurance. Remove unwanted items in your home by either holding a yard sale or donating them to charity. Why not make your move easier while at the same time making some extra money or giving yourself a tax deduction. Contact your utility companies to give adequate notice of when to disconnect and reconnect gas, water and electrical services. Schedule appointments with the phone and cable companies in preparation for setting up important items in your new home or office. Set up a forwarding address with your local post office. Clean your refrigerator by emptying and defrosting it. Give at least 24 hours to air dry. Confirm the planned delivery date and time with the driver. Fully inspect all rooms, closets, and cabinets for anything you may have left behind. Arrange, if possible, for your children to stay with a babysitter or relative while the move takes place. Arrive at your new location before the movers arrive, allowing you to sign-off on the inventory. Clean all shelves and cupboards before placing items there. Start to feel comfortable in your new home! After living in one place for awhile, you’ve probably accumulated more items than you ever thought possible. This accumulation usually makes packing one of hardest steps in the moving experience. And while it is one of the most time-consuming tasks in the process, it is also one of the most vital. Organization is key and, by making sure that your things are arranged in an orderly manner, you will significantly cut down on the possibility of damage and loss to your belongings. It is also much faster to settle down into your new home. While Ocean Moving and Storage offers its customers top-notch packing services and an array of sturdy packing materials, we completely understand why you may want to do some of this on your own. And even though we may not be part of the packing process, we want to relay some valuable tips that you can use while you prepare for your move. Look at some of our packing tips below and, if you have any questions or concerns while you are packing, feel free to give us a call and talk to one of our experts. Start packing early. As soon as you have finalized the moving date, immediately begin arranging all the items that will be relocated to your new home. 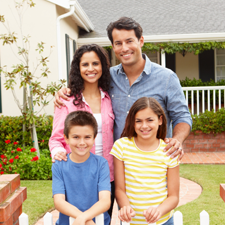 Organizing your items will assure an efficient and smooth transition for you and your family. 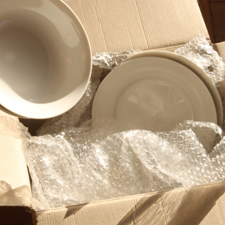 Place heavier items tightly in boxes that have just enough room. Do not try to pack too much into each box as it will make it more challenging to move and increase the chance of breakage. Ensure that each box is of quality, sturdy material and, after packing the box, inspect to make sure that all openings are taped completely, particularly on the bottom to assure stability. Remove all drawers from furniture to allow for easier handling when moving. Prepare to pack valuable items like photo albums, antiques, and legal documents separately in a box or suitcase and transport them in your car for peace of mind. Back-up all important files on your computer and consider moving it separately.